Why didn't Priyanka dress like grandmother Indira Gandhi? Perhaps that's exactly why. Think women in politics, think power dressing, and you’d have images of women in sharp suits and skirts, walking about in kitten heels. Albeit that’s a 'videshi' scenario. No one dresses like Hilary Clinton in India. But India too has a politics of power dressing, especially for women. Think saree — plain, with a border, and the occasional pallu over the head. What’s become a sort of a stereotype, with the likes of Mamata Banerjee, Smriti Irani, Sheila Dikshit, Sushma Swaraj furthering the cause, could very well be traced back to Indira Gandhi — the woman who made it possible for us to be talking about ‘women in politics’ and ‘power dressing’, and even put it in the same sentence. 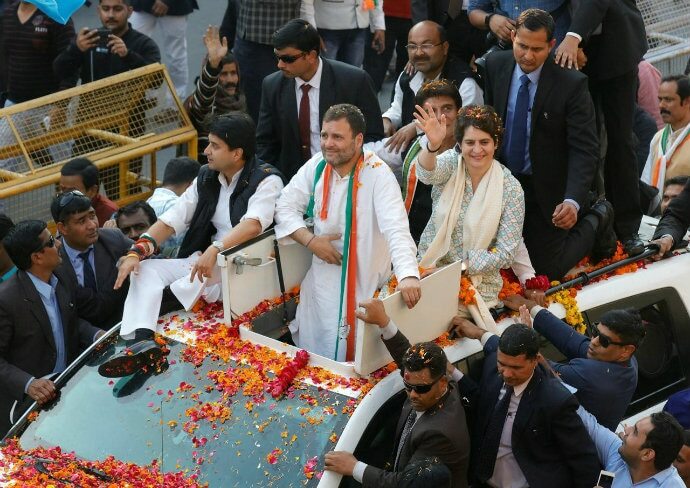 So when it was time for Priyanka Gandhi Vadra to rally through the heart of Uttar Pradesh — Lucknow — we expected her to walk out looking like an apparition, a spitting image of her grandmother. She is, after all, that — a spitting image of her grandmother the Congress would very well like to use in their stride, especially at this moment. She walked out dressed in a suit so plain that we probably wouldn’t want to be seen in even on laundry day at home. There was no structure — something we know is imperative and the very fulcrum power dressing is based on — or cut, fall or silhouette. It was loose, messy, and frankly, even unflattering. It was almost as if she dressed, not for the occasion — her first rally in the run-up to Lok Sabha elections 2019, which obviously is momentous —but for the actual ride that was part of the rally. — ‘I’m going to be standing on top of a vehicle, waving at scores, and occasionally dodging electrical lines atop, so I better be prepared,’ she thought, perhaps. 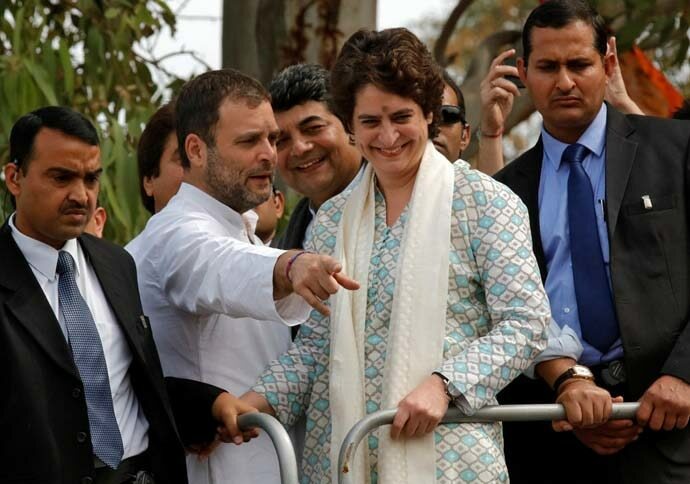 Priyanka Gandhi Vadra does not stand for the ‘conventional’, but the ‘unconventional’. And if ‘nayi sochh’ is the agenda, can conforming to older, accepted norms send the message? In breaking the politics of power dressing in India, Priyanka has delivered a more powerful statement than her brother, Rahul Gandhi, did. And, she didn’t even have to make a speech. Priyanka is her own self — she’s no apparition of another celebrated politician, despite her strong likeness to her grandmother. And this also means you cannot box Priyanka into your existing squares, or predict her future based on any set formulae. If this is not power dressing, we don’t know what is. Also read: MISA, Emergency, forced sterilisations: Why is Priyanka Gandhi resembling Indira Gandhi a good thing?